This view shows the All Saints' Parish Hall and the Kinsmen Park Water Tower in the distance. 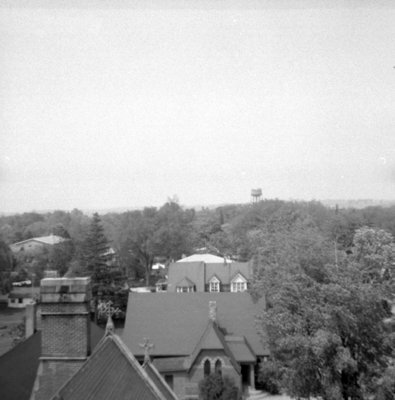 Looking North from All Saints' Anglican Church, May 1964, Brian Winter. Whitby Archives A2013_004_362.